Pick locally, think globally! The residents’ community of Hildboltsweier, near Offenburg, Baden-Württemberg, Germany, started its own concert row. Artists from this south-western part of Germany are to be hosted on a regular basis at the local Jergerheim over the year, featuring various musical genres. 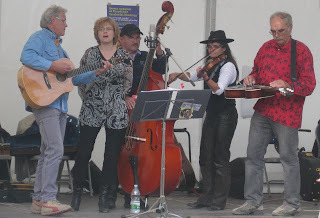 The first of these concerts was given by the Backporch Pickers, a regional bluegrass band from nearby Kehl-am-Rhein, on Saturday 2 April 2011. 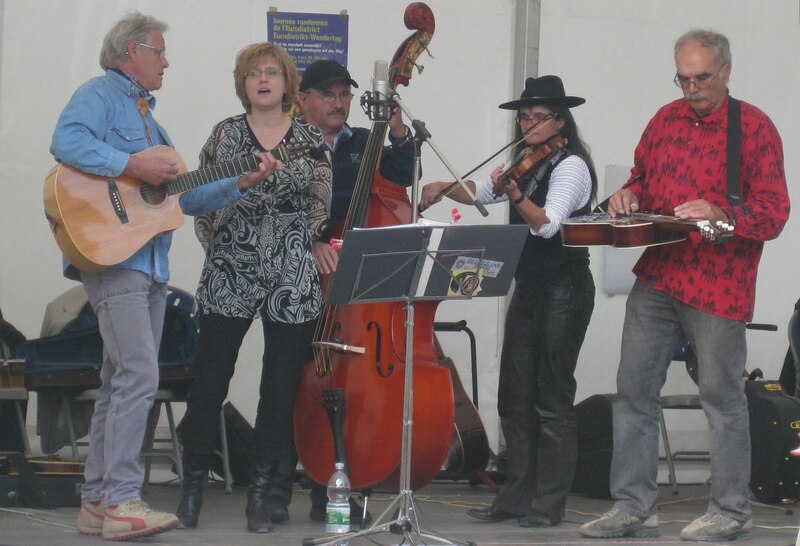 The Backporch Pickers, who started in the 1980s as a country-bluegrass school band including teachers and students, are Martina Siegler (vocals, mandolin), Katrin Schlimmer (fiddle, backup vocals), Josef Lüber (vocals, guitar), Heiner Raulff (banjo, Dobro, guitar, vocals), and Joël Espesset (double bass, mandolin, vocals). An attendance of around 70 enthusiastic listeners, many of them hearing bluegrass music for the first time, rewarded the Backporch Pickers’ performance - a mix of ballads, blues, country and bluegrass - with applause and two encores. One more little step in the direction of EBMA’s goals!